Whether you're running to farmer’s market, a yoga class, or a day at the beach, this vibrant Ashanti Design Taba Tote bag stores your essentials in style. 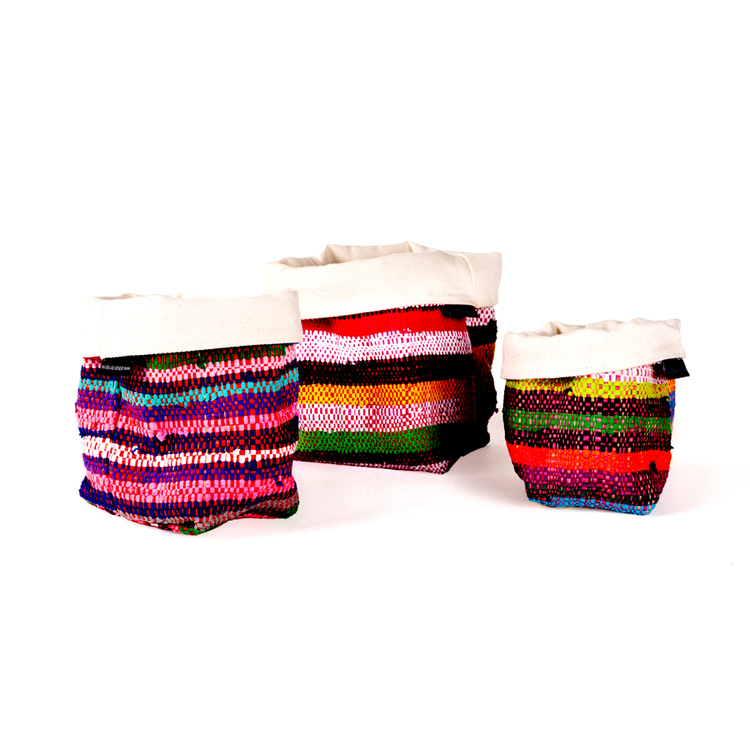 Each Ashanti bag has a unique pattern, handcrafted from upcycled cotton in South Africa. The bright mix of vibrant colours and artistry reflects the customs, culture, and outlook of the people who weave them. Add fun and flair to your ensemble with the Ashanti Design Taba Tote bag. The fabric of these eco-friendly bags is made by an upcycling process that reduces final waste which would otherwise go to waste lands. Ashanti cloth is woven in Madagascar, where cast-off cotton fabric is turned into high-end textiles on African hardwood Hugh looms. Ashanti Design Taba Tote bags are always one-of-a-kind since the upcycled fabric is consistently different. Ashanti Design bags are designed and handmade in South Africa, providing income for rural villages in Africa while empowering people along the way. We want to make sure that production leaves little-to-no carbon footprint; any purchase of any product from Africa Frolic is made 100% guilt-free, including these organic, Ashanti Design bags. Africa Frolic offers a fabulous selection of colorful, upcycled bean bags, pillows, benches, doorstops, and other accessories in different shapes in sizes. All our products are unique and eco-friendly. Add the best of contemporary African style to your home with products curated by Africa Frolic; discover more below.